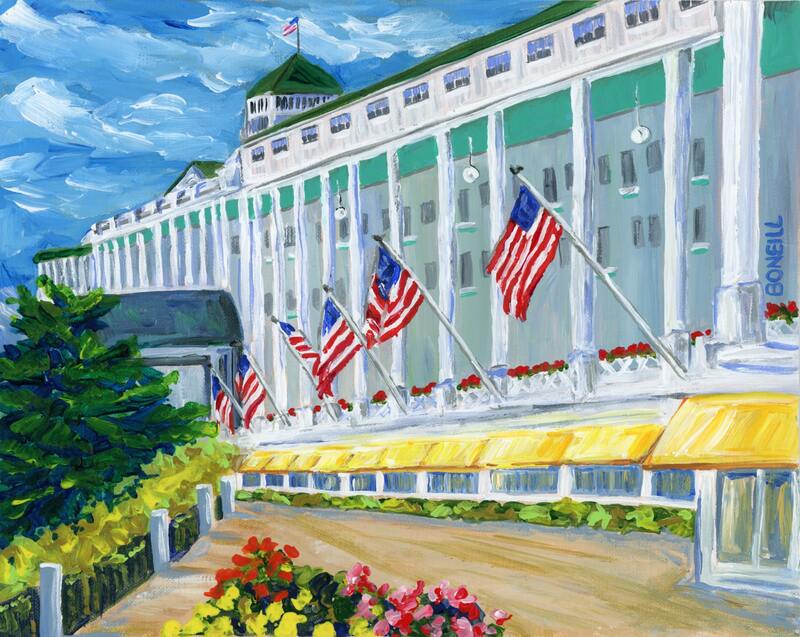 This is a beautiful giclee print of the iconic Grand Hotel on Mackinac Island. The classic 1980's film "Somewhere in Time" - starring Christopher Reeve, Jane Seymour and Christopher Plummer was filmed on location at Grand Hotel. The film's fan club still meets at the Grand Hotel each year. Did you know it also boasts the world's largest front porch?